Situation: Chiropractor moved to a new location and started a new practice. 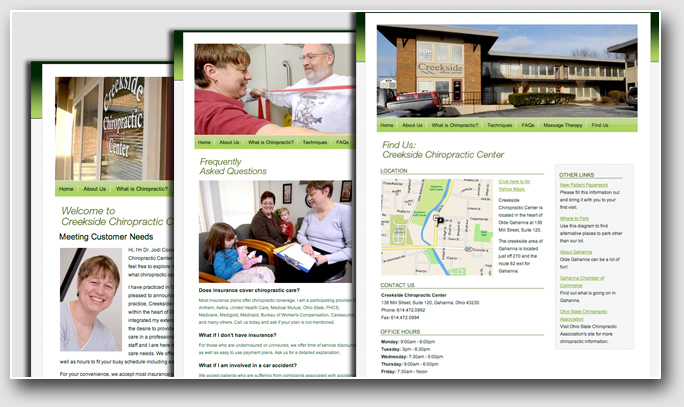 She wanted the new web site to jump-start her practice. Action: Set up a simple website that shows the location of her new practice, provides downloadable new patient information, and answers frequently asked questions. SEO was implemented so her practice would rank well on searched terms.